As we toil away and edit our weddings (OK, it’s not actually toiling – It’s a friggin’ ton of fun) I find myself stopping longer on some photos more than others. 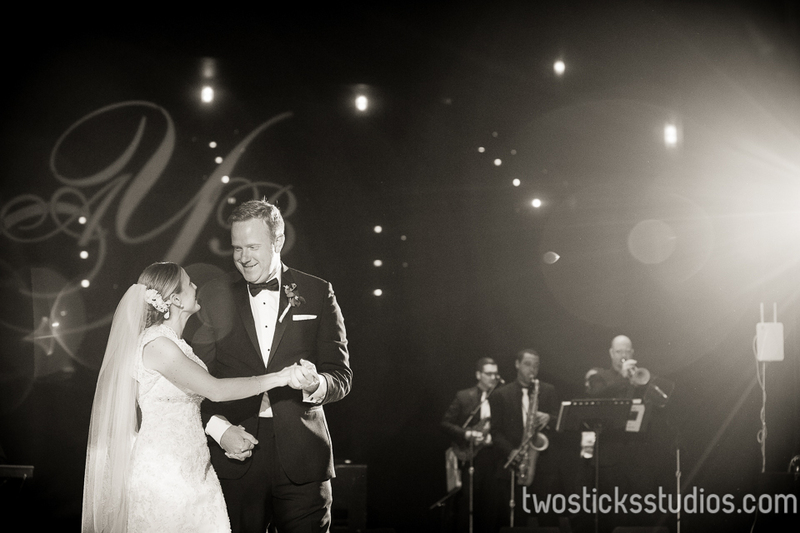 Well, I’ve been working on Amanda and Brian’s images and came across their first dance. Now first dances are special anyway. 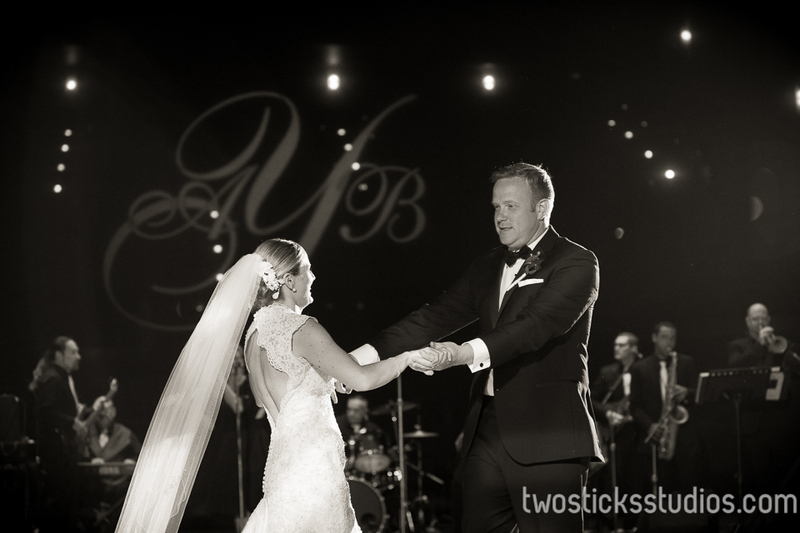 Bride and groom with the dance floor all to themselves, dancing to a song they picked together for the first time as a married couple. What’s not to love? At the Scranton Cultural Center it also usually means your initials in lights behind you. It’s splashy and beautiful and a really nice touch. So I just thought Amanda and Brian’s shots captured a really nice moment for two great people and wanted to share them. 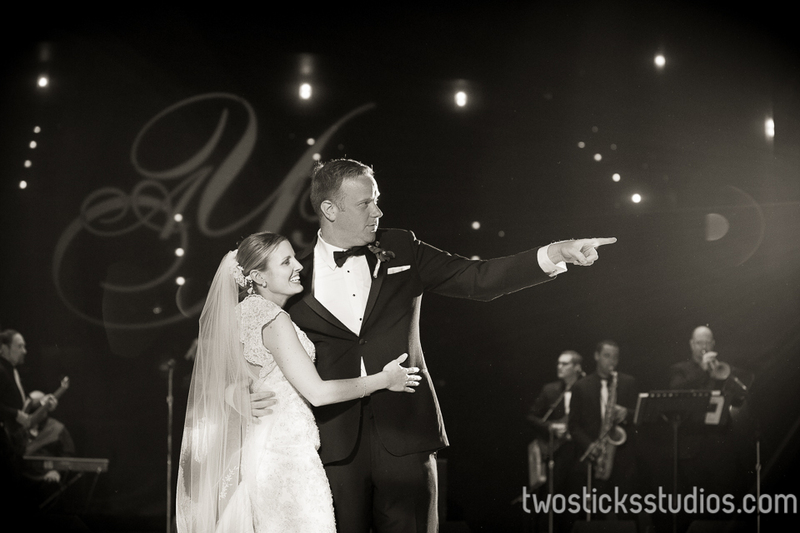 There are a ton more photos to go through and I’m loving every minute of it! I can’t wait to see what else turns up.